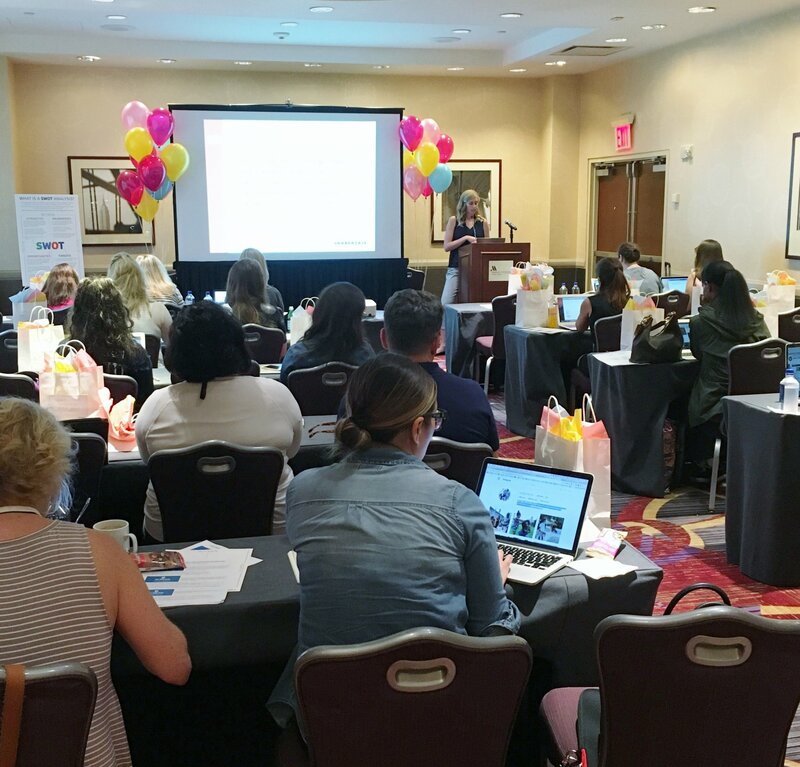 Affiliate Summit East is always filled with endless events, packed meeting schedules, and overall exceptional networking which makes the conference well worth the late nights and lack of sleep. Our agenda featured some repeats of last year, but also some brand new events – take a look! For the first time, we were able to host a half-day event geared towards new bloggers. 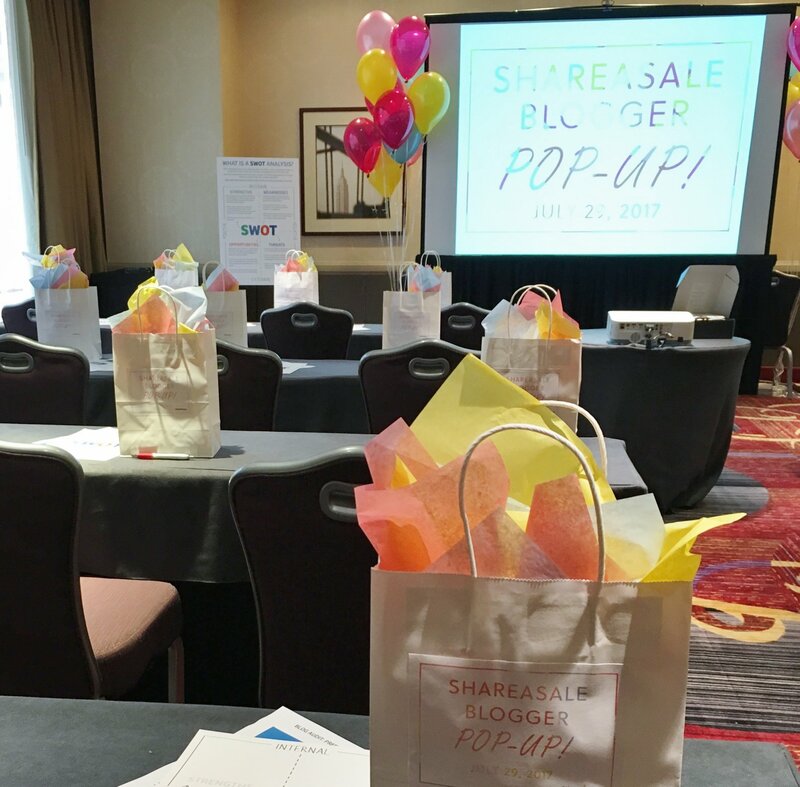 The Blogger Pop-Up was an opportunity for new bloggers to learn face-to-face about our tools & features. An always popular part of ours events are the live blog critiques given by ShareASale’s Blogger Liaison, Abby Schaller. News of our plans to launch a redesigned Merchant Search (not yet released) was an extremely well received and exciting announcement! We also allowed for extra time so that the attendees could check out Merchant Products, implement what they learned, and post to social platforms. We loved seeing all of the creative photos! Did you miss out on the event and have interest in growing your blog presence? 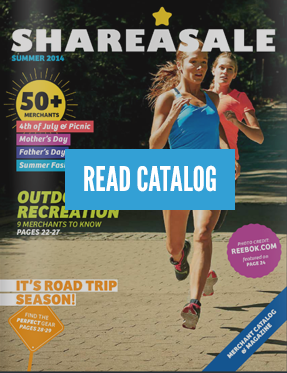 Contact Abby – abby@shareasale.com. Prior to our party, Awin hosted a stunning fashion show, featuring many of their leading global fashion brands, such as Missguided – their primary sponsor of the event. It was a great time for the brands to show off their designs and to network with top affiliates. We were thrilled to attend this exclusive, invite-only event and come away with some fashion inspiration of our own! 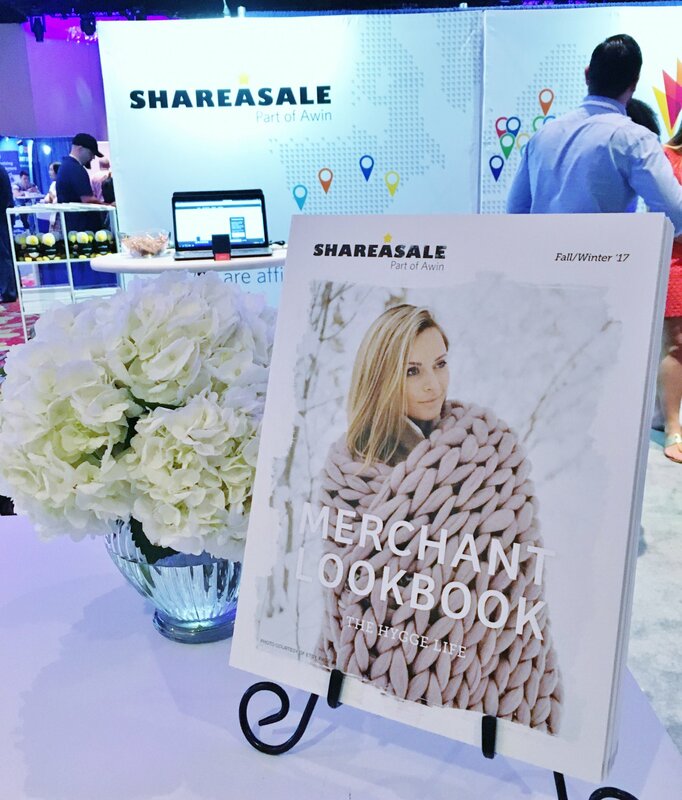 Following the fashion show, the room was transformed from fashion show to party and as tradition holds, ShareASale hosted a kick-off party to ASE 2017. 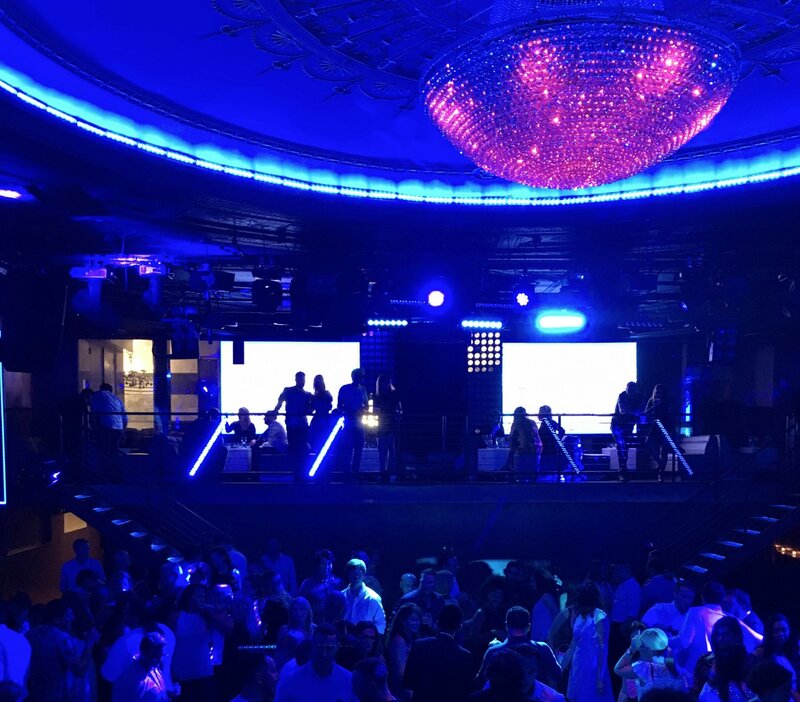 This year’s event was held at Arena New York, a beautiful venue with an elegant 1920’s architectural flare. The RSVP list filled up quickly and as always, it was packed with some of our favorite people! 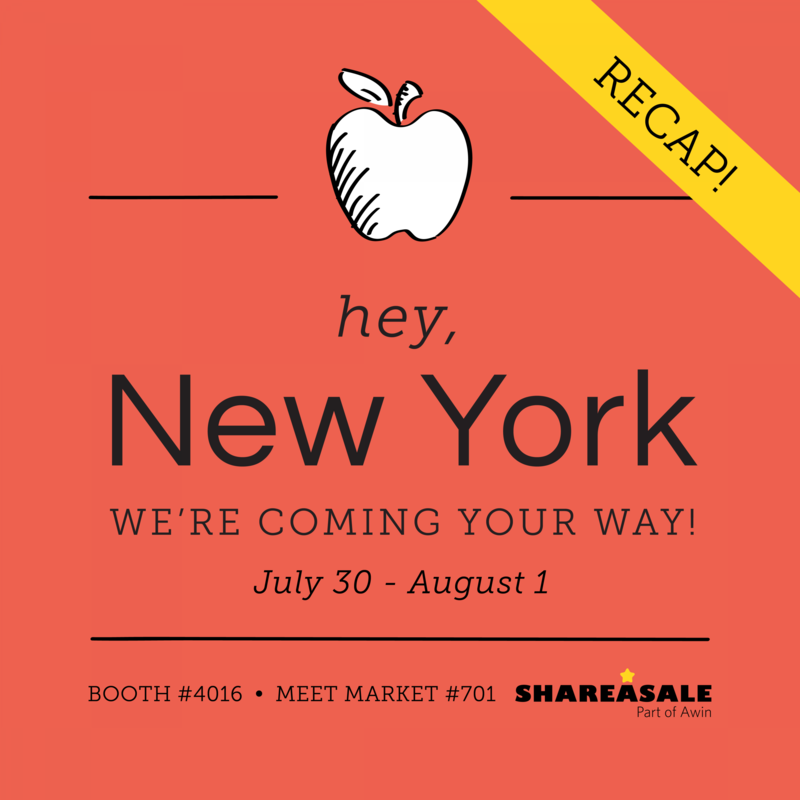 The RevShare Roundup was a huge success for us this year! The timing of our table combined with our placement within the exhibit hall gave us the opportunity for priceless connections with both potential and existing clients! We specifically highlighted two programs at our table, check them out! Another first for ShareASale was our booth! 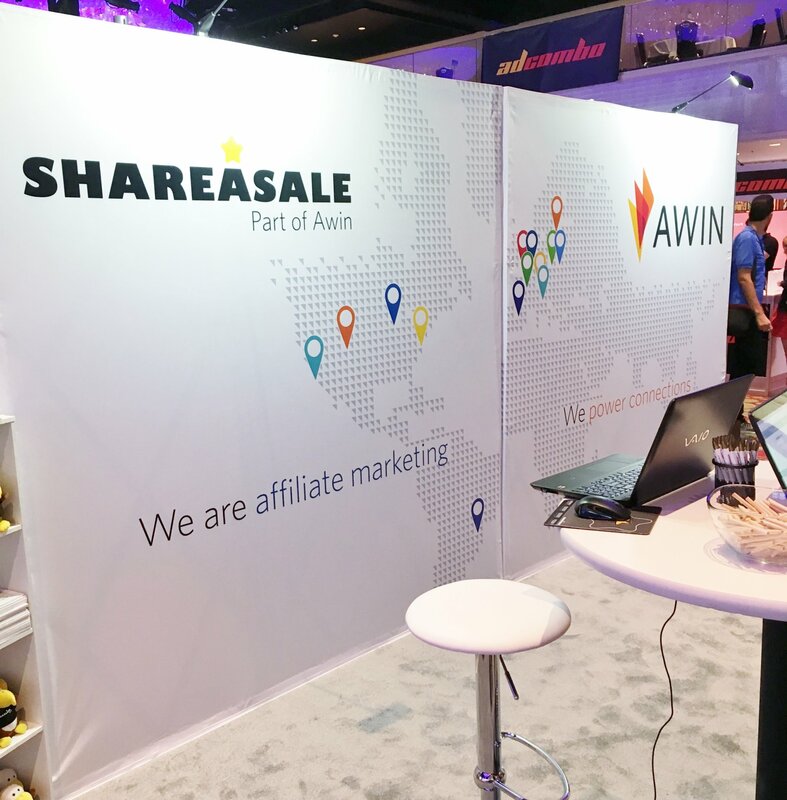 We were thrilled to present ourselves alongside our partner affiliate network, Awin. 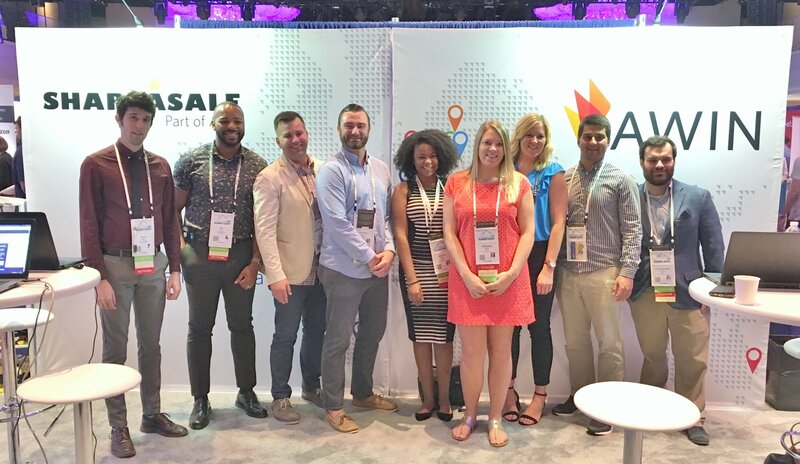 Together, our booth design highlighted our unified mission to become the global choice for Affiliate Marketing solutions. It was awesome to have our two brands side-by-side and we look forward to many more co-branded conferences and marketing efforts! Our Fall/Winter 2017 Lookbook was a huge hit at the booth, grabbing attention from many attendees. 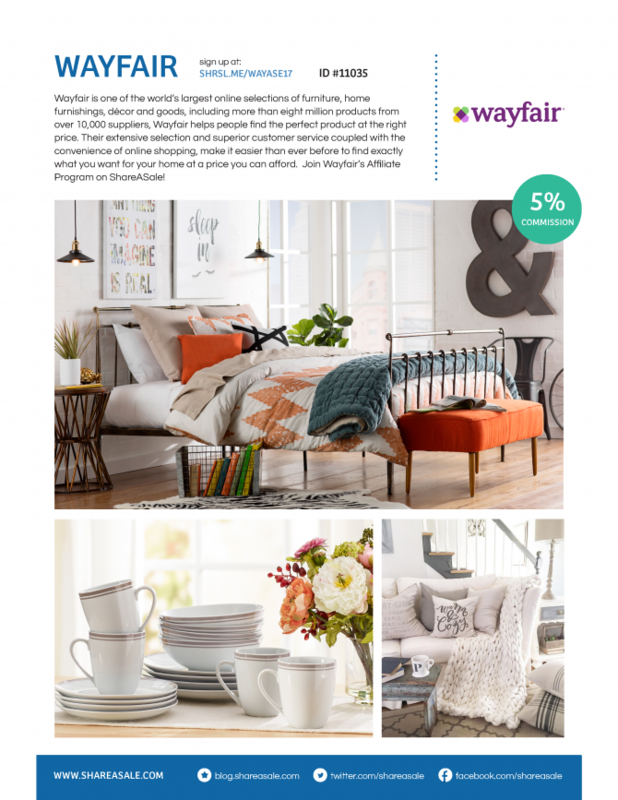 This recent publication featured Merchants in a variety of themes surrounding Hygge: the Danish concept of complete “coziness.” With so much inspiration and new merchant features, it surely added a least a little excitement for the coming cold months ahead. It seems crazy, but we are already planning for Affiliate Summit West 2018. Don’t forget to register! Ticket sales are going quickly!